Perhaps the most notable change to the overall shape of the car is the curvier, lower roof line. The mild drop toward the rear is vaguely reminiscent of the 991 Carrera, and that can only imply agility. In fact, there's a bit of Range Rover Evoque in there, too. 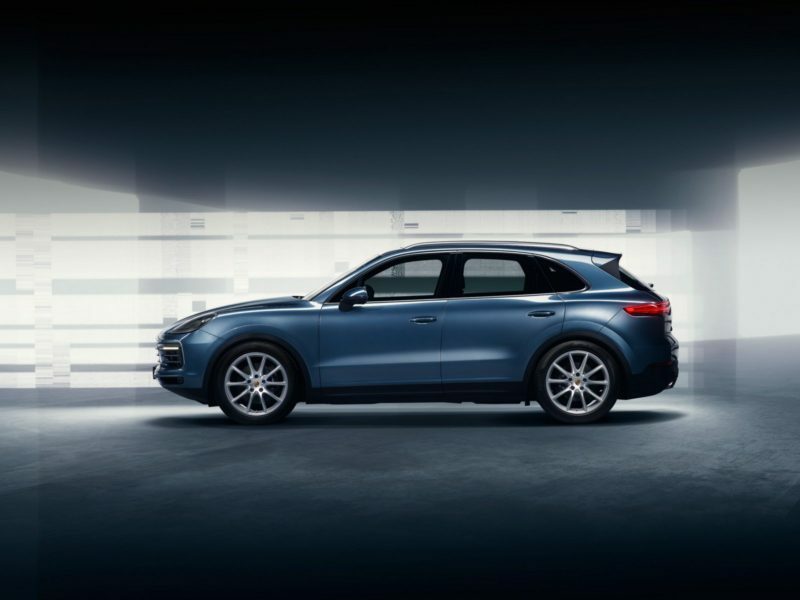 The new Cayenne looks equally at-home on country lanes or congested city streets. A wider wheelbase looks to complement the sportier shape, and a slightly angular front end, again, adds to the punchier aesthetic without looking too aggressive. Larger air intakes and slimmer LED lights simplify the front-end while adding a hint of purpose, and at the rear, the new taillights closely resemble those seen on the Panamera Sport Turismo. Seems fitting. Naturally, the interior is a comfortable without being opulent; stylish but focused. The dash is uncluttered thanks to a massive infotainment system and a center console with digital controls like the one seen in the Panamera. Subtle wood accents help remind the driver they're sitting in something comforting, despite the bolstered seats and the promise of performance quietly rippling underneath the sumptuousness of it all. While details aren't official yet, it's expected that the optional 2.9-liter turbocharged V6, which is said to make 440 horsepower and 405 lb-ft of torque, ought to be able to ripple the asphalt underneath it.